ABOVE: The shooting was live tweeted by this student. Editor’s note: The opinions in this letter are the authors’ only. It’s horrifying to me that I’m writing the following words: I watched videos taken by children in Parkland High School during and after a shooting in their school. Just stop and think about that. I jumped when I heard the sudden gunfire and those children screaming in fear for their lives. A few seconds of gunfire seeming to last forever. I felt great fear, sadness, and disbelief, but I’m sure it was nothing compared to what those children and the adults in the school were feeling; I wasn’t in any danger of being killed. I’m sure what I was feeling was nothing compared to what the parents of those children or the friends and family of anyone in the school that day was feeling; a person they love and cherish might have been killed. My imagination will never match the reality of what those people experienced. Then I watched the video of the SWAT team evacuating a classroom of children. Even though they were the good guys, the SWAT team was scary. I felt fear deep in my gut hearing them yelling out instructions, seeing them cautiously and furtively disperse throughout the classroom. My heart broke seeing the children once again reacting with fear, hands in the air as instructed, uttering small cries, one child’s tremoring hand drawing my attention. So now I’m asking what many before me have asked: what will it take for us as a country to do something about mass shootings, especially school shootings? So far, we’ve done nothing. It’s been all words, ineffective thoughts and prayers that make us feel good about ourselves, but no real actions from those of us who haven’t been personally affected. And I include myself in that group of people who haven’t acted. The assertion in this tweet is confirmed by this data. It ends up being a matter of profit and politics over human lives. We, as a country, value profit more than we value our children. Even those of us who are far from wealthy, choose the shiny lure of one day having it all, over the lives of our fellow human beings. We allow our fears to be played upon and our emotions to be manipulated so that we don’t have to realistically look at what we’re choosing. We’re all good people, aren’t we? Sure we are. There’s nothing I personally can do, and by the way, I don’t want to give up anything that I feel entitled to, that I feel I’ve earned, in order to make anyone else’s life more bearable. My good intentions are enough, right? I don’t have THE answer. But I have a suggestion. Listen to those people who have experienced the heartbreak firsthand. 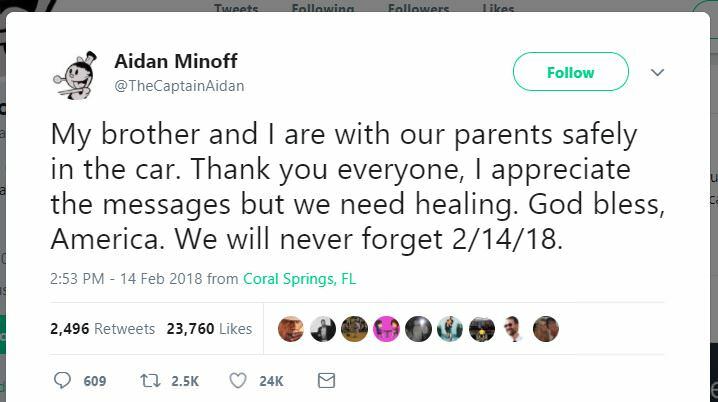 Listen to the parents of Parkland High school. Listen to the parents of Sandy Hook. Listen to the parents of Columbine. Listen to the loved ones of The Pulse. Listen to the loved ones of the Las Vegas shooting. Listen to your heart instead of your fear. Then, do what I am doing; do some homework. Find out if the politicians representing you are being influenced by profit rather than your best interests. Our individual power lies in our right to vote. Instead of thoughts and prayers, take the time to educate yourselves and then take the time to go vote. Hearing the news trickle in about the school shooting in Parkland, FL reminded me of my first year teaching. 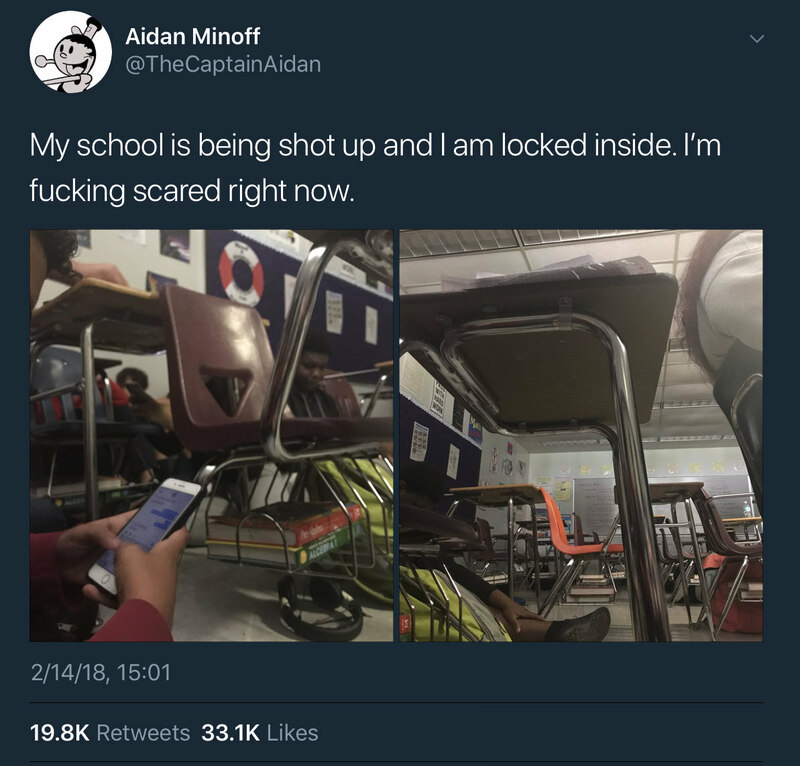 One nondescript afternoon, during 7th period Writing class, the intercom crackled with an active shooter lockdown message: “Locks, lights, out of sight.” Nothing to worry about. We conducted those drills all the time. As 7th period came and went, I began to realize that this was not another drill at all. 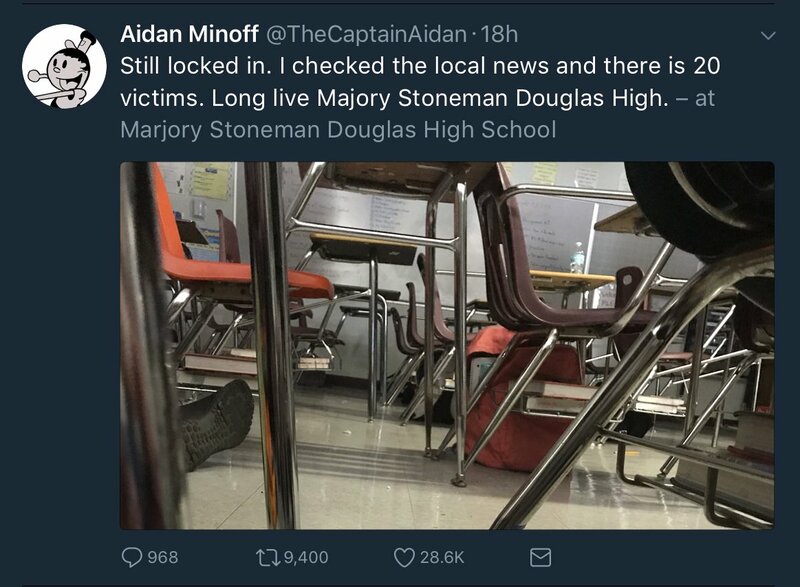 My students and I huddled together in the corner, and I pondered just what sort of man I really am: if that door opens, if someone with a gun walks through it, I pray I am the man I think I am, that I will do what must be done to protect these children from harm. When, some time later, the lockdown was finally lifted, and it turned out that the students who provoked it only had AirSoft rifles, not real guns, the lockdown’s sudden epiphany remains: we must have fewer guns and we must have fewer people with access to them, and any politicians who stand in the way of that goal must be voted out and replaced. Tom MacArthur advocates for concealed carry reciprocity, and takes money from the NRA, and by doing so reveals that he has forgotten who it is that he represents. But the midterm election in November will shortly be upon us, and as voters, we will not forget. Happy Valentine’s Day! I was fortunate enough to come home from work with a dozen red roses for my wife and a dozen yellow roses for my daughter. It is a tradition I have maintained every year of my marriage and every one of my daughter’s 18 years of life. I was fortunate. My wife (who works at a high school in the Lenape Regional High School District) and my daughter, who attends Shawnee High School, both came home alive today. For that I am forever grateful. 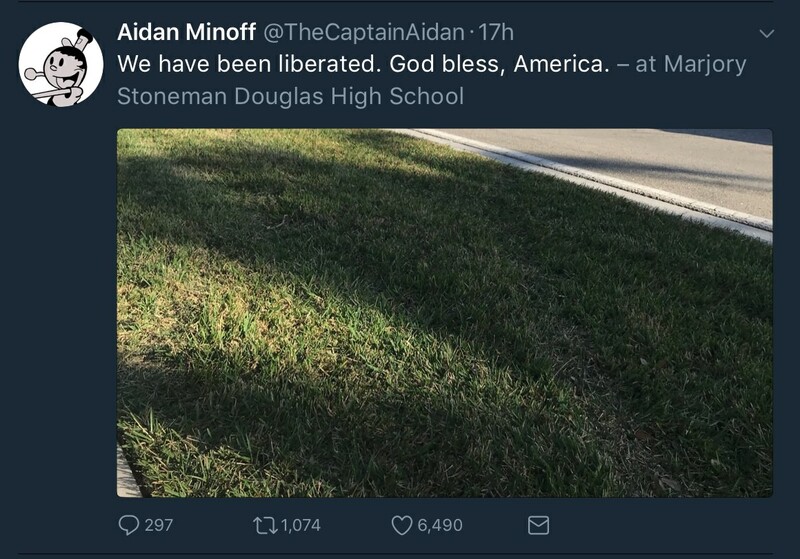 At least 17 individuals did not come home alive from a high school in Florida today due to yet another mass shooting at a school. My guess is some of them had flowers or chocolate waiting for them at home. I am tired of, and will no longer accept, politicians offering their “thoughts and prayers” to the victims. We must commit to a change in how we view guns, who we vote for at local, state and national levels, and join together to make sure that assault rifles are eliminated. 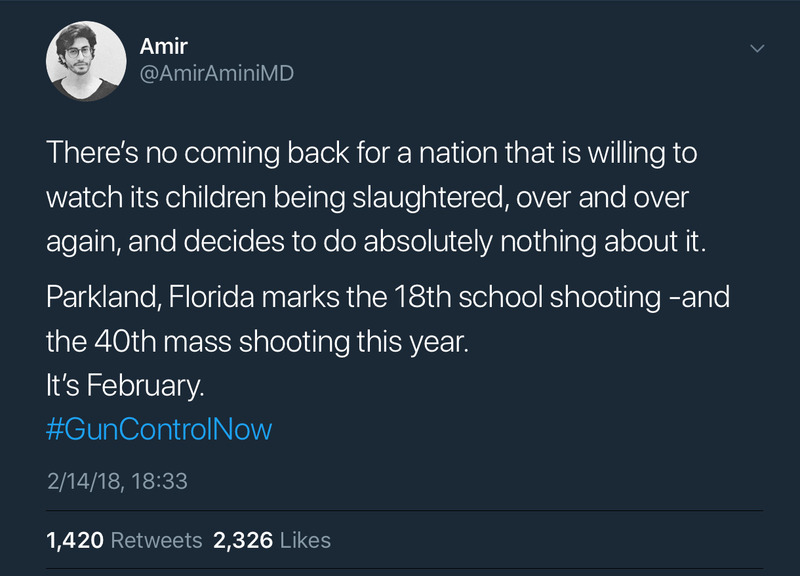 There is really only one way to stop gun violence and that is to remove them from our society, much as all other civilized countries in the world have already done. Based on simple statistics, a guy with an assault rifle is a bigger risk to us than ISIS ever was, or is. Let’s begin by electing Andy Kim for the 3rd District Congressional Representative in New Jersey this fall. But let’s do way more than this. Teachers and teacher unions, students and parents should consider staying out of school until meaningful legislation is passed. Campaign finance reform laws must be passed as the NRA pays out millions of dollars per year to corrupt politicians. These politicians have blood on their hands as do all of us who stand idly by while our children, teachers and administrators are gunned down. This has to stop. I hope these words are a beginning but words alone will do nothing. Vote! Act! Join! I’m a teacher. As school ended today, I turned on the news to find out that there was yet another horrific school shooting, this time in Florida. Tears came to my eyes. All I could think of was those teachers could have been my friends and those kids could have been my students. Oh my God, one of those kids could have been my daughter. The anguish I saw on the faces of parents while they were waiting to see the faces of their babies was overwhelming. Thankfully, most of those parents will be able to hold their children a little tighter tonight. But there are 17 sets of parents who will not be able to hug their children again. I am devastated for them. Of course, we send our thoughts and prayers. But thoughts and prayers are not enough. We need policy and enforcement that protects all of us. We need Universal background checks for all gun sales (including online, private, and gun show sales). We need to update and improve the accuracy of the background check system. We need to limit access to assault style weapons and high capacity magazines. We need to hold parents responsible for for the consequences of allowing children access to guns. We need to supply quality mental health services to help prevent gun violence and also to help victims heal after an attack. Perhaps most importantly, we need congressional funding for research on gun-related violence. The best way to make the best policy decisions is to have evidence from multiple studies. Congress effectively prevents that now. It’s time to make a change. Congressman MacArthur, I beg you to make that change. For those of you who are responsible gun owners, please speak up. The NRA does not speak for you. They only care about making money, not saving lives. The list above would not infringe upon your right to own guns. For those of you who say, well if he wanted to kill people, he would have found a way with a knife or some of other instrument. Just stop. Seventeen people would not have died in the same amount of time from a knife. For those that say it’s too soon to talk about gun legislation. Just stop. I’d say for those parents who lost their child today, it’s already too late. I sit in front of my television with tears streaming down my face as I watch children running from their school while 17 classmates lay dead. I live in a country where there have been 29 mass shootings in 45 days. I live in a country where the National Rifle Association spent $55 million in expenditures and political action contributions during the last election in order to buy the silence and cooperation of members of both the Senate and House of Representatives. I live in a country where the NRA has so much power over these legislators that we do not allow the CDC to investigate and scientifically examine gun violence as a public health epidemic, nor allow people to sue gun manufacturers for devastating harm to citizens, nor require gun owners to carry liability insurance. I live In the NJ 3 Congressional District where my Congressman received the second highest total of gun related contributions of any legislator in the state. I live in the NJ 3rd Congressional District where my Congressman helped sponsor a Concealed Carry Reciprocity law that would allow anyone permitted to carry concealed guns in another state to do so in New Jersey, regardless of our state’s strict gun laws. I will do everything I can to expose those beholden to the interests of the gun lobby and any other corporate entity that threatens my health and well being. 2018 is the year of mid term elections. I hope many others will join me in demanding change.